The Laden Showroom is one of my favourite shops on Brick Lane; it stocks some really unique pieces by young brands, and now they've even started stocking a few pieces on ASOS - so you don't have to schlep to East London to get your fix! 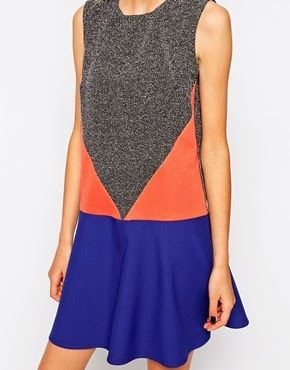 This dress is by Katka Rosanna - I love the geometric panels, mix of colours and sports-luxe style. I've inadvertently gone back to the '90s without this outfit...I've never been much of a fan of the whole 'dress over trousers' look but there's something about the slim-line cami dress and skinny jeans that just seems to work. I can't get enough of this dress at the moment - it's the perfect thing to throw on (especially in the summer heat) and different looks can be created just by playing with accessories. My style errs on the less-is-more side of things, and I love a twist on a good classic. Nothing screams 'classic' like an LBD, black heels and red lips, but the fit-and-flare shape of the dress and interesting cut of the shoes give it that little something extra. To me, this outfit doesn't need much else - just this simple (yet stunning) vintage-style diamond bracelet from Anjolee* (which sells everything from necklaces to engagement rings), which really completes the look. For the past few years, pastels have pretty much dominated Spring/Summer - both on and off the catwalks. I've never really embraced the trend because it's not really 'me'. Don't get me wrong, I like it - just on other people; when I see that pretty pale yellow dress hanging in a shop, I'm immediately drawn to the black/grey/navy garment close by. But then this dress happened. Bought for less than half price in the sale on a trip back up to Liverpool last weekend, I fell in love with the cut and colour. Perhaps my love/hate relationship with pastels has turned into plain old love. This week's lust comes from Missguided, in the shape of this faux suede jacket. 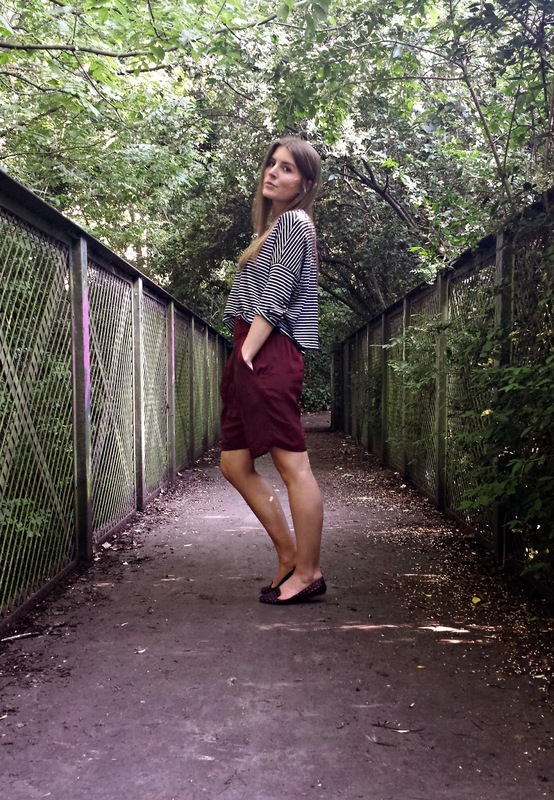 I love the biker jacket style, and the unusual taupe colour would make a perfect addition to a summer wardrobe. Plus, at £39.99 it's an absolute bargain! 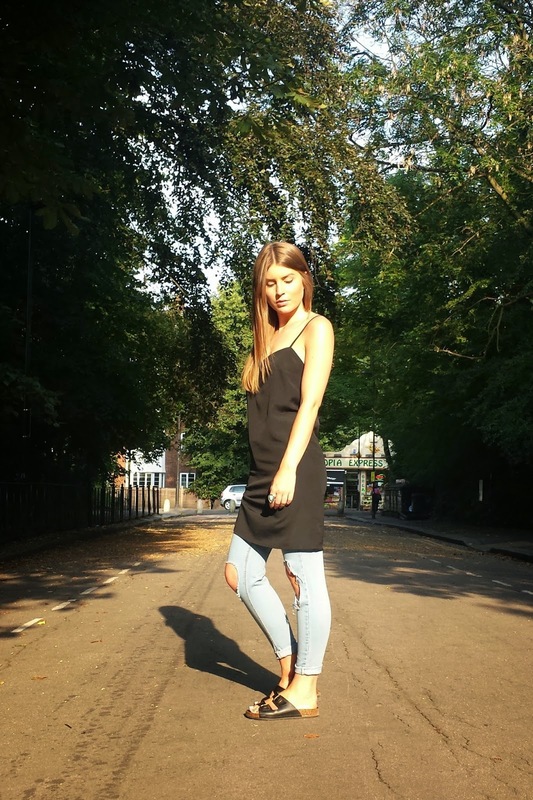 The lovely Laura from Heroine in Heels has taken her love for fashion one step further from her blog and dipped her toe into the designing pool. She's collaborated with designer Tina Lobondi and created these gorgeous full, printed skirts, with promises of more items to come - I can't wait to see what else she comes up with! 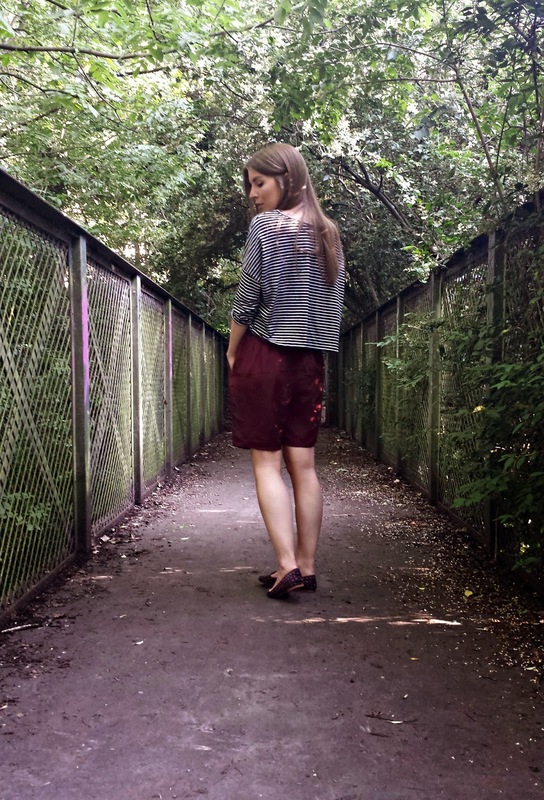 Handmade in London, the skirt is a perfect fit and the print is so unique. I love a good print clash, which is why I've teamed it with this pinstripe jumper from Zara (I've also seen similar in H&M) and balanced it all out with a classic pair of black heels. 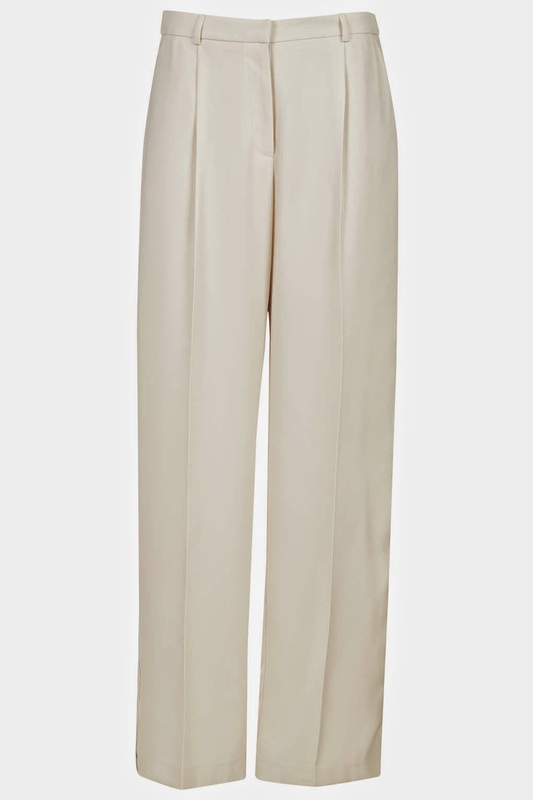 Like a lot of other bloggers at the moment, I am obsessed with the slouchy, wide leg trousers that are making the rounds in the UK's high streets; they're perfect for summer and can be worn dressed down with a pair of birks or up with a pair of heels. I love the colour of these ones from Topshop and think they'd look great with a simple crop top. I think I bought these shorts about four years ago, fell out with them for a couple of years and resigned them to the back of the drawer, and now my love for them has come back. 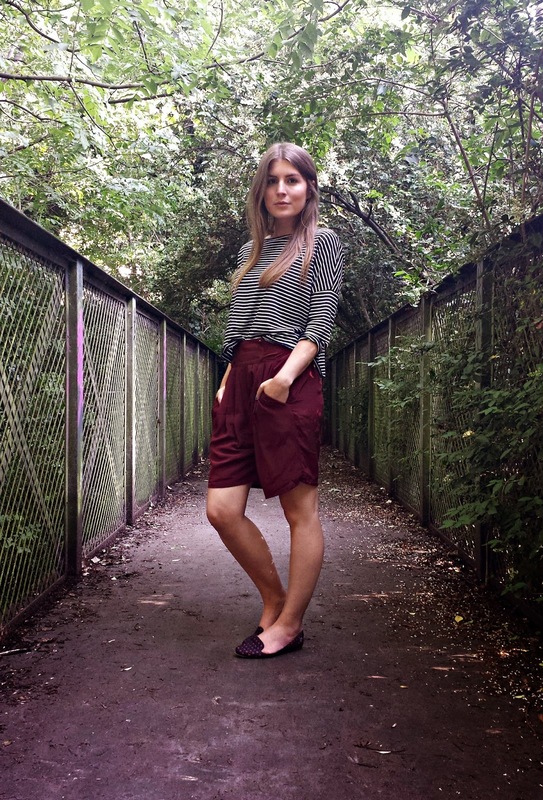 This is my excuse for a bulging wardrobe and why I can barely part with anything...you never know when you'll have the desire to wear a piece of clothing, and I'm not sure I could ever get rid of pair of silk shorts from Whistles! 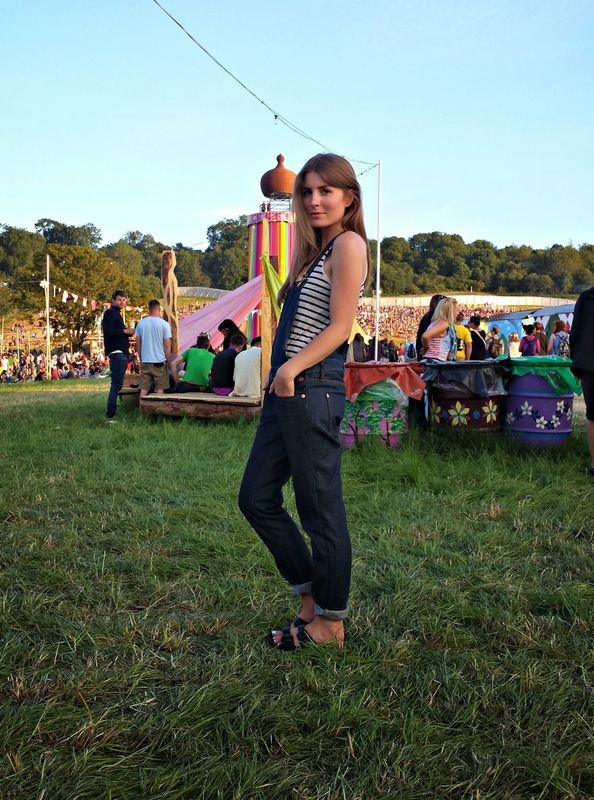 The girlfriend jean: essentially the middle ground between the skinny and boyfriend. Straight cut, it's not too tight and not too baggy - perfect for when you want that happy medium. This pair from Warehouse fits like a glove and I love the slightly distressed look that is pretty much dominating the high street at the moment. I've gone for my trusty leather biker and a plain white tee. Pairing it with heels and bold clutch just gives it that little bit of summin' summin'. A new brand has come to my attention this week (new to me anyway...it started in 2008 but is relatively unheard of in the UK - or have I had my head under a rock for the past six years?!) Uterque is owned by the same people behind Zara and Massimo Dutti and has the same sort of aesthetic as & Other Stories, Cos and Zara - so an instant hit for me! Plus, the prices are pretty reasonable. I fell in love with this dress when I saw it; anything with a gorgeous back like this makes me go weak at the knees, and this classic piece is one that can be worn year on year. 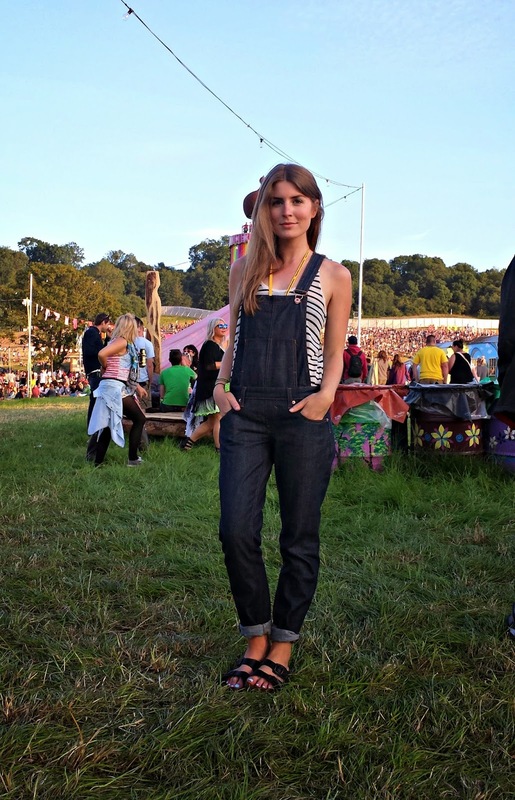 My third and final Glastonbury look (the other days I pretty much wore variations of the same thing). You may notice there aren't any people/tents in the background of these pictures - they were taken on a walk back from the 'Powder Room' put on by ZooLoos. About a 15 minute walk off-site, it had proper showers, proper toilets with soap, hand cream and loo roll, and a lovely little cafe that did cracking breakfasts. With mirrors, dressing tables and hairdryers and straightners, it was heaven! 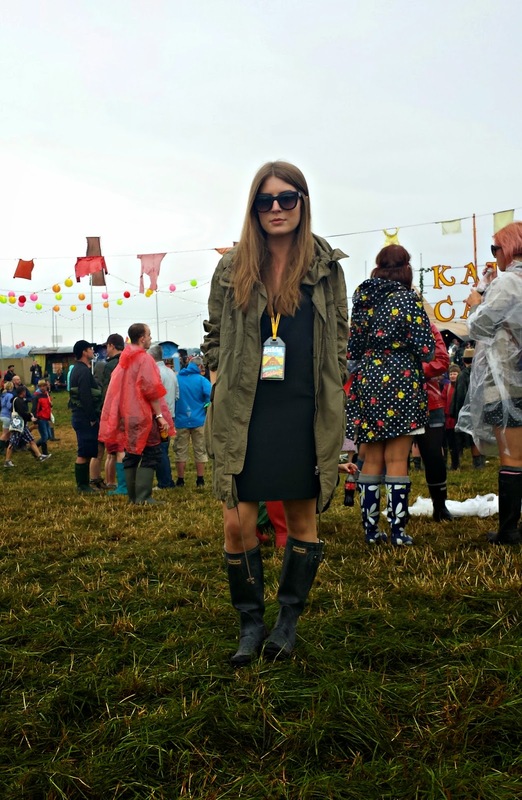 Girls, if you're going to a festival this summer, look out for something similar - there's nothing like a good shower to wash away a hangover and tent-sweat. 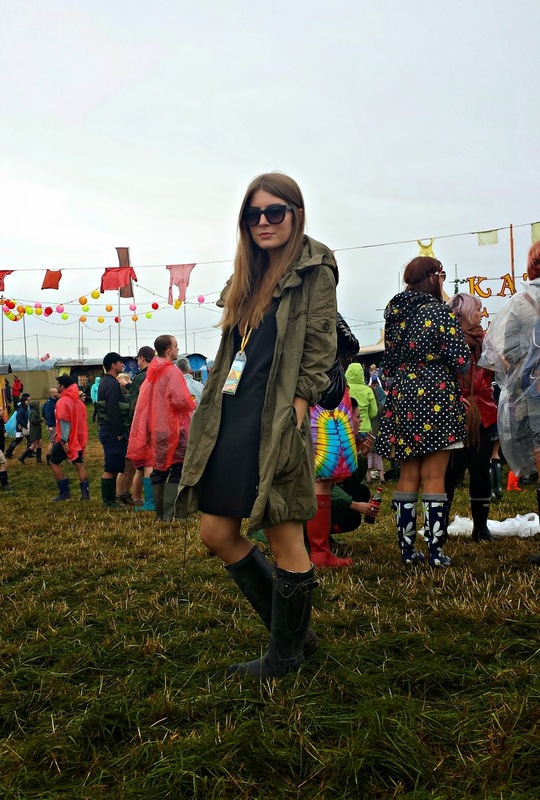 Day two of Glastonbury when the rain arrived and festival staples, the wellies and parka came out. 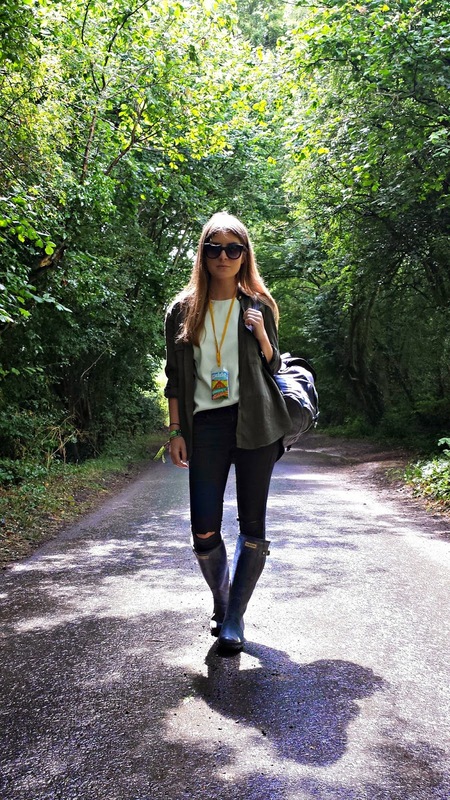 I kept my festival looks pretty simple (I must have been one of a handful of girls not wearing a flower crown) and wore hard-wearing pieces that would handle the ever-changing weather and being splashed with mud, beer, and other liquids that I'd prefer not to think about. 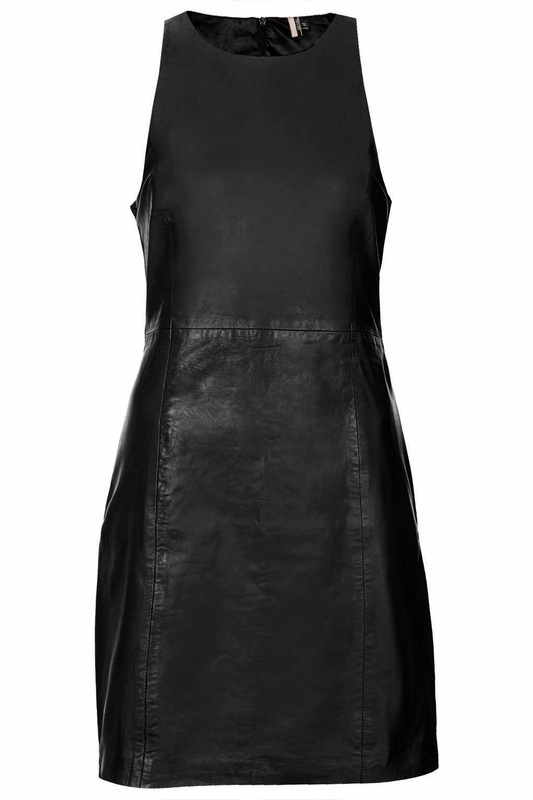 I love me some leather and this shift dress from Topshop is an absolute steal - down from £150 to £40 in the sale! A classic piece that can be worn in all seasons and will be a wardrobe staple for years to come. A-mazing. I'm now back from Glastonbury and feeling slightly worse for wear but it was oh so worth it. Despite the rain, the mud, and squatting over long drops, I had the best five days. It was my first time at the festival and it definitely lived up to my expectations; the music was great (my favourites being Jake Bugg, George Ezra and Kasabian) and the whole place was just like a dream world, bursting with creativity.